Animal welfare professionals have the most emotionally complex and morally challenging role of any trauma worker in our society. This in-depth teleclass includes over 12 hours of digital audio from five 2-hour class sessions and 148 pages of handouts is available. This in-depth, yet shorter teleclass includes 2.5 hour of digital audio and 36 pages of handouts. 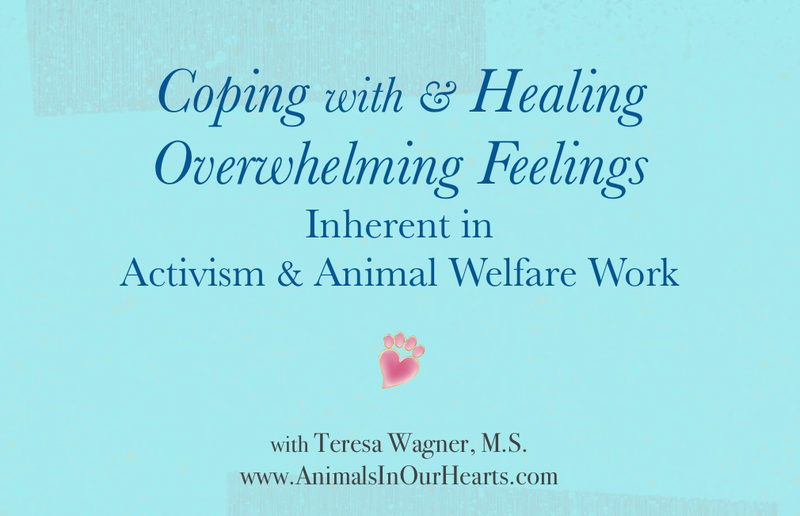 This teleclass focuses exclusively on dealing with the normal, albeit overhwhelming, feelings that are part of working to help the animals of the world. The on-demand format of both classes allows you to receive the audio recordings and handout materials for all the class sessions and work through the material in your own time frame, at your convenience. "The sun is coming up and the tide is going out; if I don't throw them in they'll die." "But young woman, there are miles and miles of beach with starfish all along it--you can't possibly make a difference." "It made a difference for that one," she replied. If you give of your life energy to help animals, professionally or as a volunteer, you know this story. You live it. You know the urges of compassion; you know the driving desire to help. And you know the pain of seeing how many more there are, and the pain of realizing you can't save them all. And you know the joy and fulfillment that comes from helping and saving the ones you can. Giving love and support to animals in need, animals in pain, is a sacred thing. It fulfills our own healthy need to give, to help, and to love. Along with the rewards, there can be heartache in helping animals, deep wrenching heartache. Continued exposure the pain and trauma of others is what makes us susceptible to Secondary Traumatic Stress, more commonly called compassion fatigue. Feeling love for animals is easy. Acting on a strong and genuine desire to help animals and the people who love them and mourn for them is commendable. Feeling our own pain in response to their suffering, however, can be overwhelming. When we love animals deeply, when we are sensitive to the pain of people and animals who are hurting and when we are exposed to their suffering we can become depleted. Whatever our roles to help animals and their people, exposure to their pain, hearing about and witnessing their stress and trauma can create very real physical, emotional or spiritual fatigue. Compassion can hurt. Compassion fatigue is an issue of importance for all people who have devoted their lives, their careers or their volunteer time to helping animals and/or the people who care about them: Those who work in animal shelters, rescue, sanctuary and advocacy organizations, those who provide grief support for people who have lost their beloved animals, those who work tirelessly in the animal rights and animal welfare fields, those who work in veterinary medicine and other animal support services. For those who work directly to help animals and the people who love them, who work tirelessly to save their lives and make their lives better, and those who support animals and humans in grief and trauma, the probability of experiencing compassion fatigue is high. From research in the traumatology field, we've learned that people who are involved with trauma victims are at high risk of experiencing secondary traumatic stress, commonly called compassion fatigue. Compassion fatigue is the unique form of stress experienced only by people helping, treating or supporting trauma victims. It is different from stress and burnout in that its cause is always related to caring and exposure to others' crisis. To heal compassion fatigue, we must learn how to give ourselves the same dedication, love, compassion and care we give the animals and our human clients. We must learn to practice not only everyday coping techniques, but to employ long term healing strategies as well. We cannot serve the animals we love so dearly and the clients we care so much about if we are chronically fatigued, stressed and burned out. If we are to continue our work giving the best that we have to give, and if we are to enjoy our lives, then caring for ourselves must be as important as caring for the animals and our human clients. 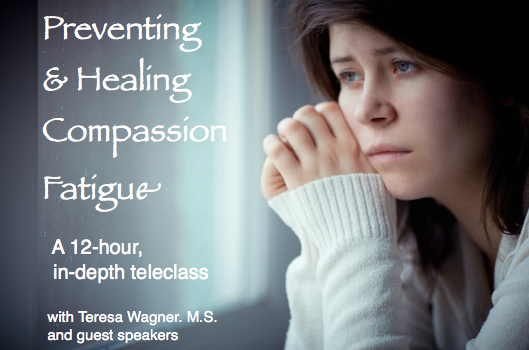 Give yourself the gift of learning about how to prevent, cope with and heal compassion fatigue. You are just as important as the animal and human clients you serve. For all of you who give your life energy to help animals and/or the people who love and mourn animals, thank you. The scientific term for a starfish is sea star. They are invertebrates, not fish. Teresa’s work with compassion fatigue began in 1994 with a request to design and facilitate a workshop for the staff of the SPCA of Monterey County, CA. From there her work in this field grew into providing over 40 workshops for shelter staff and animal welfare conferences throughout the United States ranging from two hours to two days in length. Her clients have included the Humane Society of the United States, The American Humane Association, Best Friends Animal Sanctuary, California Council for Wildlife Rehabilitators and individuals from more than 50 animal shelters. 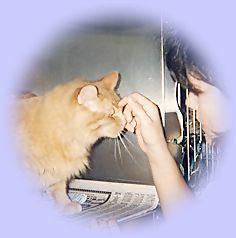 The workshops that have been offered in those early years have been completely redesigned, updated and refined to integrate both the literature and research that has been published since the time frame of the original classes as well as many more in-depth tools on coping with and healing the overwhelming feelings that are part of working with traumatized animals and clients. From the inception of the first workshop, several hundred hours have been devoted to her continuing education regarding state-of-the-art research and practice in the fields of traumatology, post-trauma stress, grief and compassion fatigue to insure that the most current and effective content is included in her workshops. She has a masters degree in counseling psychology and has also completed post graduate work at Columbia University and the University of Nottingham, England. COPYRIGHT AND AUTHORSHIP NOTICE: The information contained in this Compassion Fatigue section of my site was originally written in 1994, has been updated several times and has been copyrighted since its inception. In July 2015, Judy Scheffel used the material on these pages as if it was her own, violating copyright law and a written agreement to use it only with attribution, for a webinar organized by Lisa Levinson and sponsored by In Defense of Animals. A video of the webinar, in which Scheffel plagiarized thousands of words from this site and deceptively presented the models in these pages as if they were her own original concepts, appeared on the In Defense of Animals web site and on YouTube until August 20, 2016. If you participated in this webinar or viewed it on YouTube, please be advised that authorship of approximately 80% of the webinar content includes material copyrighted by Teresa Wagner and was used fraudulently by Judy Scheffel.